Borrowing money can be intimidating, especially if it’s your first time. There are many different types of financial tools for borrowers. It can be tough to choose the right one when you don’t understand them. Personal loans are popular and accessible for good reasons. They’re particularly well-suited for covering unexpected or large expenditures. 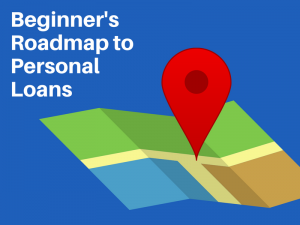 Here’s a guide to understanding personal loans and how to find the right one for you. How does Partners Financial FCU decide who to lend to? How are interest rates determined for your personal loans? 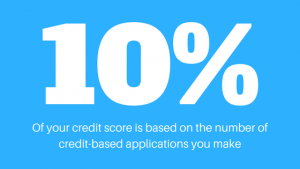 Why do credit scores matter when it comes to personal loans? What is the difference between interest rates and APRs? When do I get the money once my personal loan is approved? Can people with a lower credit score get a personal loan from Partners Financial FCU? How much can I get with a personal loan from Partners Financial FCU? What if my payment arrives late? Personal loans are often used to secure big-ticket purchases. This could include furniture, appliances, vacations, and household needs. A personal loan can help you cover a wide range of expenses. This may include weddings, family reunions, home repairs, and other emergency situations. Personal loans give you an immediate influx of cash, with the opportunity to repay it over time. Personal loans are also sometimes used to pay down other debt. Credit card interest or interest on loans or other types are often higher than that on a personal loan. Higher-interest debts carry higher interest costs. Paying them off with a personal loan can decrease the amount you pay for interest. This can help you lower your monthly payments and help you get out of debt faster. Do Personal Loans Need Collateral? Personal loans don’t need collateral. This makes them an “unsecured loan.” Approval for unsecured loans is generally based on creditworthiness. Other factors also have an impact. This is because the lender has no collateral to guarantee that you’ll repay what you’ve borrowed. When you borrow money against collateral, the loan is secured. The lender can repossess the collateral to repay the debt. Unsecured loans are riskier for lenders. They usually carry a higher interest rate than secured loans due to the increased risk. Will a Personal Loan Affect My Credit? How you handle your personal loan can have a significant impact on your credit score. You can improve your credit score by making payments on time and never miss a payment. This becomes even more important if you don’t have other personal loans on your credit report. Better credit improves your access to financial products and services. Good credit is also essential for lower interest rates on future loans. Missing payments and paying late can hurt your credit score, and your wallet, too. Poor credit can block your access to personal loans. You could end up paying more due to fees, especially for late payments. Interest rates could also be so high that the loan payments are no longer reasonable. A personal loan is a big commitment. You’re borrowing money and paying for the privilege of doing so in the form of interest. You must decide whether the cost is worth the benefit that you’ll get from taking out the loan. Getting the loan may mean being able to take care of expenses. You could upgrade your belongings or make a big life event possible. There is more to weigh than the positive outcomes. There’s responsibility in taking out a personal loan, too. You’re obligating your future income to make those payments. Your budget must have enough wiggle room to fit in the new loan payment. Otherwise, you could be doing your finances (and your credit) more harm than good. Having a personal loan requires a certain amount of discipline. Upon an approved loan, you’ll have access to a lump sum of cash. It can be a thrill to have enough money to buy something expensive but don’t let that cloud your judgment. It’s very easy to get too far into debt. This sets up a spiral of taking out loans to pay previous loans and never being debt-free. There are many reasons you might need a personal loan. It’s important to make sure your reasons are the right ones. Personal loans are not “free money,” and must be repaid to the lender, even if there’s no collateral securing the loan. Failure to repay a personal loan could result in hits to your credit. You might even face lawsuits, as the lender can take action to get the loan repaid. Be smart about using personal loans. Don’t commit yourself to pay back more than you can afford. Personal loans should never supplement your monthly spending. Using any type of loan to take care of day-to-day expenses is unsustainable. Doing so will lead to severe financial problems. Make a budget and stick to it. Document everything you spend to understand where your money goes. This will help you determine whether you can afford a loan payment. Account for monthly payments on balances that you’re paying off with the personal loan. Subtract these amounts from your total monthly bills. Replace them with the proposed monthly payment on your personal loan. Your loan will have an annual percentage rate (APR). Several factors determine APR, each of which are unique to the borrower. Your credit – Your credit report and credit score will have a large impact on your loan’s interest rate and APR. The worse your credit history or the lower your score, the higher your loan’s APR is going to be. You may be able to improve your credit by paying off old debts. Dispute incorrect items on your credit report. Avoid new lines of credit in the months preceding your application for a personal loan. Loan amount – Lenders may charge somewhat higher interest rates for smaller loans. This may also apply to loans that will be repaid over a short term. This makes it possible for those loans to be worthwhile for the lender. Lenders might not otherwise have the incentive to make them available. Secured or unsecured loan – Most personal loans don’t need collateral. If your credit is not good enough for an unsecured loan, you may have to offer some type of security for the loan. Unsecured loans generally have higher interest rates than secured loans. This is due to the increased risk and lack of collateral. Lender type – There are several types of financial institutions that offer personal loans. These include banks, credit unions, payday lenders, and peer-to-peer lenders, online lenders, among others. Some loan options are better regulated than others. Banks and credit unions have strict regulations. Alternative lenders are less regulated. Weigh the benefits and disadvantages of using alternative lending sources. The APR is the average percentage of your loan that you’ll pay in interest on an annual basis. It is listed along with the interest rate. The lower the APR, the lower your payments. Lenders may have very different annual percentage rates. Shop around for the lender that suits you best. The lender you choose can be one of the biggest factors affecting your loan terms. Here are some of the most common types of lenders and how they may affect your loan terms. Credit unions are usually locally-based and serve the communities around them. They often offer lower interest rates and more flexible loan terms than do big banks. You have to be a member of a credit union to get a loan through them. There may also be certain qualifying requirements to become a member. Loan decisions are usually made at the local level. Credit unions are more willing to work with you to get the money you need at a fixed interest rate you can afford. Banks are the most recognized financial institutions for many borrowers. Some banks may be locally-based. Most, though, are branch offices for large banking entities. Bank requirements for getting a loan may be more stringent than credit unions. The interest rate and APR may be higher than that available at a local credit union. Not all banks offer personal loan products and services. Some banks need you to be an account holder before they’ll lend to you. Payday loans don’t need good credit. You must have a job and be able to prove your income. This makes loans easier to get. Be ready to pay for the privilege. Payday lenders charge very high-interest rates. They may also tack on excessive fees for their service. Peer-to-peer lending (P2PL) is a relatively new loan option. This type of lending relies on crowdsourced funds. The funds are then invested by making online personal loans to borrowers. This type of lending may have very different restrictions than traditional lending options. It may provide a larger loan amount than what’s available for personal loans. Traditional personal loans can range from a few hundred to a few thousand dollars. P2PL may make amounts up to $35,000 or more available for borrowers. With P2PL, borrowers and lenders connect in an online environment. There, they discuss terms and come to a loan agreement. Unsecured loans are most common. Depending on the lender and your needs, secured loans may also be available in a P2PL format. You can expect to find a variety of loans, rates, and terms available through P2PL. It’s up to the lender and borrower to create terms that suit them. Your credit score will be a big factor with P2P loans. Your education and current employment status (and history) is also a consideration. There are three easy ways to apply for a personal loan from Partners Financial FCU. The easiest way is to complete an online personal loan application. You can also call us to complete an application or visit a location near you. The time it takes to get a decision depends on several factors. The typical wait time is 45 minutes or less. We have established a formula to determine who we can offer lending. We look at different factors during this process to identify qualified borrowers. Your personal loan fixed rate is based on your risk profile. Lower risk means a lower interest rate and higher risk means a higher interest rate. Credit scores provide a consistent way to understand the creditworthiness of different individuals. Each credit reporting agency has its own formula. The fixed interest rate for your personal loans is the amount you pay for borrowing money. Interest rate costs do not include origination fees or any other fees tied to your loan. The APR includes all fees. The main benefit of APRs is that they allow you to compare offers from different lenders. The amount of time it takes to disburse a borrower’s loan money can vary depending on a few factors. To make this process as quick as possible, make sure you have the appropriate documents ready. In general, loan disbursement takes place within 24 hours after approval. Partners Financial FCU offers lending options for people with varying credit scores. We provide some lending options for people with poor credit. A higher credit score boosts your chances of approval and helps you get the best rates possible. A secured loan is tied to some type of collateral such as your home or your car. Secured loans are less common for personal loans and more common for mortgages or auto loans. Unsecured loans do not need any collateral, which makes them more risky for the lender. Most unsecured loans have a higher interest rate because of the higher risk. Personal loans fall in the unsecured category. With Partners Financial FCU, you can apply for a personal loan of up to $25,000 with a max term of up to six years. Yes. Once you’ve received approval, you will be able to set up automatic payments on your account. Automatic payments require a checking account. It’s important to link these payments to an account that you know will have a high enough balance each month. If you make a payment that is later than the payment due date then a late fee of $25.00 applies to your account. If you’re still unsure about your best personal financing option, then call us at (804) 625-4082. We’ll help you navigate your situation. If you know the direction you want to go, keep reading to learn more about the application process. A lender may ask about your credit history. You may have to disclose other bank accounts. They’ll also want to know about any outstanding debt, and if you pay your bills on time. Be honest because these answers are in your credit report. You’ll also need to know how you want funds from the loan disbursed (paid out). Disbursements can be in the form of a check made out to you or a deposit into a designated bank account like your checking or savings account. There may also be other avenues offered by your lender. Your approval time will vary depending on the lender and the application information. In general, you can expect to have a decision on your loan anywhere from one day to a couple of weeks after you apply. It’s possible that you’re denied when applying for a personal loan. If this happens, it’s important to discuss the reasons with the lender. Once you understand the causes for the denial, you can work to correct them. This will help future applications avoid the same fate. Distribution of funds occurs upon approval. This will happen according to the details you discussed during the application process. You’ll likely have to go to the lender and complete the loan paperwork. This paperwork will tell you when your first payment is due. It will also include the monthly payment. After getting your loan, keep your payments current. You likely won’t have a payment in the month you get your loan. Read, and re-read your paperwork. It will include when and where you should make your payments. Take note of late fees or other fees that could change the amount of your payment. Understand if prepayment penalties exist. Be aware of the fine print. Getting a personal loan isn’t as intimidating as it may seem. It’s easy to make mistakes if you don’t think things through, though. Remember, you’re going to have to pay that money back to the lender, regardless of how you spend it. Personal loans come with personal responsibility, no matter the borrowed amount. For more information about personal loans in the Richmond, VA area, contact us at Partners Financial Federal Credit Union by calling (804) 625-4082.